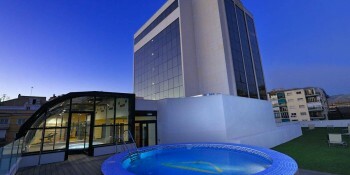 abba Centrum Alicante Hotel is a four star hotel, which has an excellent location in the city of Alicante. 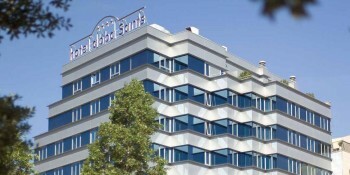 It’s located in the commercial center of the city, a few meters from the railway station and with easy access to the Airport and highways of Madrid, Valencia and Murcia. 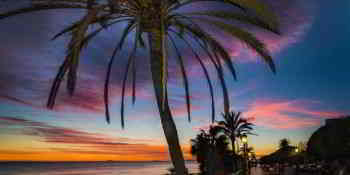 Fuerte Hoteles has come up with an exclusive selection of hotels recommended for you. 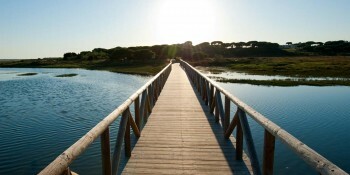 Our Partner Hotels are hotels that share our philosophy. 83 rooms. Meeting rooms for up to 200 people. 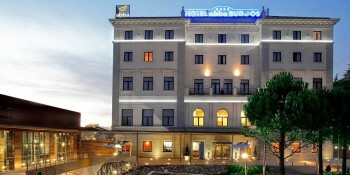 abba Xalet Suites Hotel consists of two buildings inspired in the French ‘chateaux’. 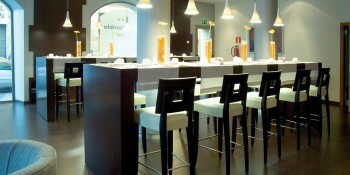 Located in the heart of the city, abba Balmoral hotel 4**** in Barcelona is the ideal place to stay for both leisure and business destination in Barcelona. 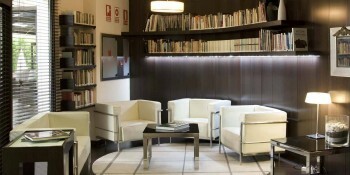 In the heart of the city, the hotel is just minutes from the Pedrera, next to Diagonal, very close to Passeig de Gràcia and Rambla Catalunya. 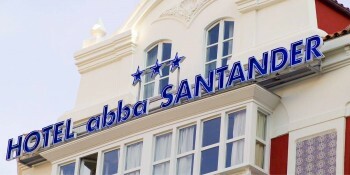 abba Rambla hotel 3* is located in parallel to the new ‘Las Ramblas‘ ride, just a few minutes from the famous Avenue of Barcelona, ​​just behind the Gran Teatre del Liceu and near the Boqueria Market. 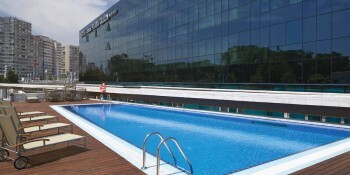 Offering very convenient access to El Prat airport, the Recinto Ferial de Barcelona and much more, with a multitude of facilities and a magnificent restaurant, Amalur, serving original and Basque cuisine. 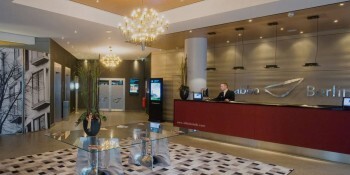 abba Berlin hotel is a 4 star hotel located in one of the liveliest Centre of Berlin areas and the ideal point for exploring the city. 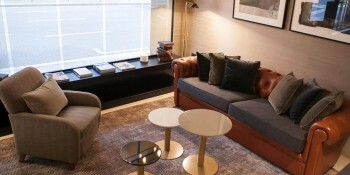 It is near the exclusive shopping area of the Kurfürstendamm Avenue, a few minutes walk from the major sights of interest such as the Brandenburg Gate, and with excellent connections to the main airports of Tegel and Schönefeld. 99 Rooms. Meeting rooms for up to 800 people. Garden area, Panoramic views of the city, La Abbadia Restaurant, Superior Rooms, Rooms with private Garden, Gym, Sauna, Heated indoor pool, Paddle Court and Car Park. 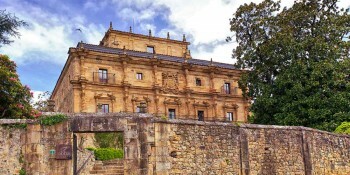 Emblematic building standing 300 m away from the Burgos Cathedral and located on the very Pilgrim’s Road to Santiago de Compostela. 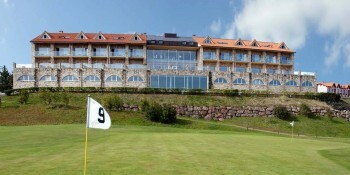 abba Comillas Golf Hotel opened in 2003, the hotel has 55 rooms as well as a restaurant offering traditional cuisine, a golf course, a gym and a spa. 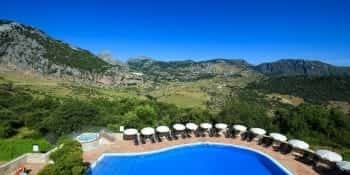 It is set within the grounds of the 9-hole Rovacias golf course, overlooking the sea and the horizon of the Picos de Europa. 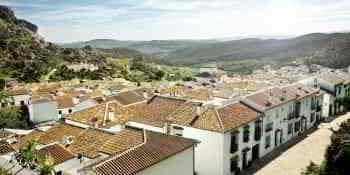 abba Palacio de Soñanes hotel is a palace that has got 28 double rooms and two junior suites, all different from each other and designed to add an element of surprise for our guests with their unique style. Non-smoking hotel. 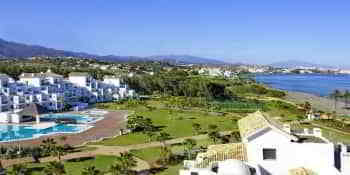 The palace also has meeting rooms accommodating up to 270 people, a restaurant and spacious gardens. 107 rooms. Meeting rooms with capacity for up to 200 people. Piano bar – Coffee bar, games room and lounge, mini-club, restaurant, Wellness area with massage services, sun beds, sauna, Turkish bath, steam room and whirlpools, Jacuzzi, gym, indoor heated pool -solarium terrace, outdoor pool and parking available. 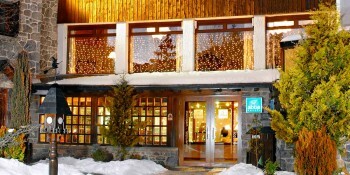 The best location in the Aragon side of the Pyrenees, only 500 m from the slopes and 90 km from Huesca, with fabulous views of the Tena valley. 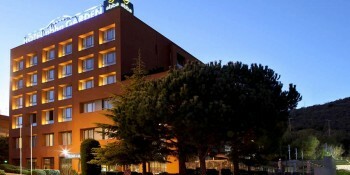 abba Granada hotel is an attractive 4-star hotel. It has 136 beautiful rooms located in the Centre of Granada, a few meters from the Jardines del Triunfo and Barrio de Albayzin. A whole range of services: restaurant, garage and conference rooms.